Ultimate Small Shop Review – Is Ralph Chapman’s Woodworking Biz Guide Legit? 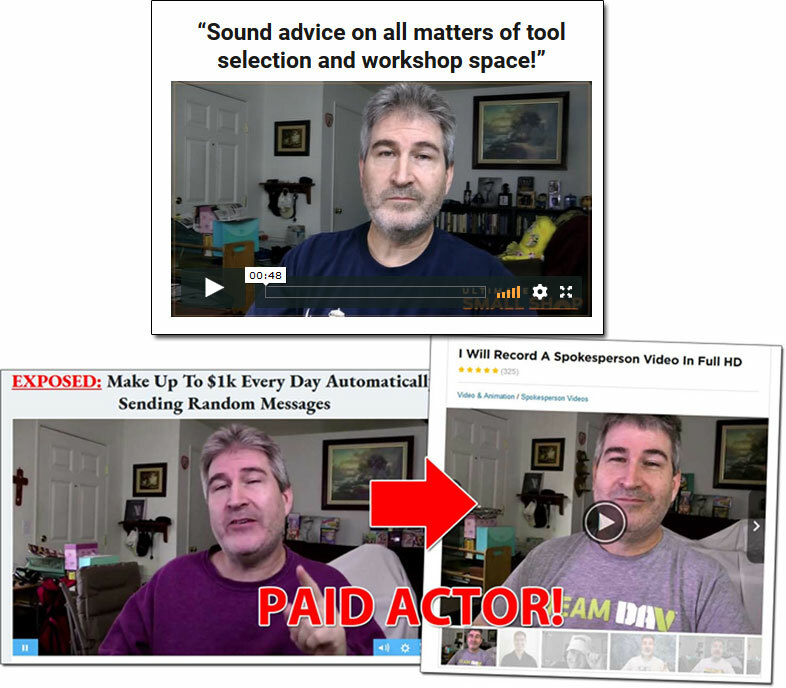 In fact Ralph actually claims that he’ll be sharing a “secret tool source” which can see you getting 70% off prices & being able to set up your entire woodworking shop for under $1,000… But is Ultimate Small Shop legit or is this just yet another scam that’s purely set out to trick you into parting with your cash? What Exactly Is Ralph Chapman’s Ultimate Small Shop? 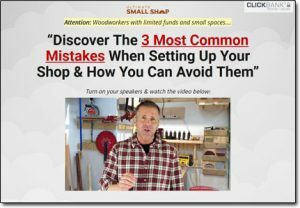 In short the Ultimate Small Shop guide claims to provide you with literally everything you could ever need to start up your own woodworking shop & turn it into a hugely profitable business by leveraging the power of the internet. He shares no real proof of his abilities on the site & no real proof of any past successes to back up any of his claims either. In my opinion that’s not a very good start – and given that the majority of the products sold via the ClickBank network (the same network that the Ultimate Small Shop is sold via) are scams, I’m immediately very sceptical about this guide. In fact I’ve actually seen two VERY similar products launch via ClickBank in the past named Ted’s Woodworking & Wood Profits. They boasted similar claims to Ralph Chapman’s Ultimate Small Shop only we were told in those instances that the creator was a guy named Jim Morgan… Surprise surprise there was nothing to be found out about him online either – nor any proof to back up his claims. How Does The Ultimate Small Shop Guide Work? Basically in order to get access to Ralph’s “246 page” illustrated eBook you’ll have to firstly hand over $39 of your hard earned cash, which might not seem a lot – but to be honest in my opinion it doesn’t seem like you’re actually getting a great deal in return. I think the biggest & boldest promise Ralph makes is that he’ll share with you a “secret source” for getting tools & equipment for up to 70% off compared to places like Home Depot, Wal-Mart & Amazon etc… But as you can likely expect, there’s no real “secret” here. And other than that the rest of the promised material isn’t all that exciting either – and more importantly it can be quite easily found elsewhere online for free. The content merely talks about tool section, finding the best space in your home, the best way to organize stuff, safety – and other fairly straight forward things like lighting, ventilation & sound-proofing. Like I just mentioned above all it takes is a quick Google search on any of these topics to come across free proven material from genuine experts on those subjects, so in my opinion there’s no need to pay $39 for it. At a seemingly small fee of just $39 you may be thinking “oh what the heck, I’ll try it out” – but the truth is that’s exactly what the creators of the guide want you to think because to them it’s all about the upsells. You see whilst you’re pretty much led to believe on the sales page that the $39 fee will get you access to everything (including some bonuses), in reality it won’t & the truth is that the program could cost you an awful lot more. The reason I know that is because I was able to find their affiliate page – this is the page that’s shown to the people who wish to promote the program for commissions & it outlines the entire sales funnel so that the affiliates can see what commissions they could potentially earn. All in all that seemingly small $39 fee could quite quickly end up setting you back $190 – and I’m confident that alongside those products they very likely have some additional high-ticket items (like mentoring) right at the back-end which could actually end up costing you thousands. That’s typically how these types of ClickBank programs work… They make bold promises to get you through the door & then once you’re in they just hit you with upsell after upsell to milk you of as much cash as possible. Sadly though once you’re milked what you’re often left to realize is that the material you’re provided with simply doesn’t live up to any of the promises that were made on the sales page of the whole thing. It’s clear that they’ve gone to some effort with regards to putting the sales page together, but what the untrained eye may not notice is that they’ve actually gone as far as to hire actors for their testimonials. Yes, that’s right – the testimonials shown on the Ultimate Small Shop website are fake, and that’s VERY worrying. Why would they need to pay people to say good things about their program, what’s their intention? And it’s not just the videos that are fake too – the “Facebook” comments are as well. They’re just screenshots of what people have supposedly said yet if you actually take the time to look up any of the accounts you’ll find that they either don’t exist or that they haven’t really published what’s shown in the screenshots. Before publishing my own review of Ultimate Small Shop here I did some research on it myself & what I found was a staggering number of fake reviews that have been written about this guide by affiliates. Basically like I just mentioned they’re affiliated with the guide which means they’re getting paid commissions to promote it, so rather than actually sharing their honest thoughts about it they’re just hyping it up as well in an attempt to get you to buy it. 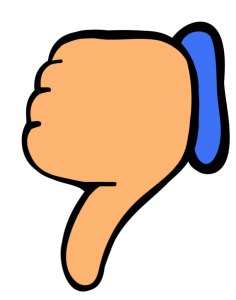 They too like me will be well aware of the fake testimonials & concerning promises but it seems that they are just too interested in earning themselves commissions to actually share their honest opinions. So if you do happen to go around and look at other Ultimate Small Shop reviews then be VERY wary of this. My Verdict – Is Ultimate Small Shop a Scam? Well I certainly wouldn’t go as far as to say it’s a scam, however in my opinion there’s certainly some trickery going on here & I also personally believe that it’s been set up with the primary intention of making the creator wealthy (at your expense), not you. I mean as far as I’m concerned the sales page is just overly filled with hyped-up information & as a result I think if you do actually happen to purchase this Ralph Chapman’s Ultimate Small Shop guide then you’ll likely just find yourself disappointed. So with all that being said it’s safe to say that I won’t personally be recommending the Ultimate Small Shop guide & instead if you’re really passionate about woodworking & want to leverage the internet to make money from it then I suggest you check out the free Wealthy Affiliate program which shows you exactly how you can cash in on your passion (and you can rest assured it’s actually legit). Or alternatively if you’re just looking for general ideas to make money then be sure to check out my list of top picks here. CodeFibo Review – Does It Really Work?